Aug. 2016 – Affordable Housing is most certainly not a “one size fits all” industry. To ensure that Hudson Valley Property Group is able to reach the communities and residents that benefit most from tax credit preservation endeavors, we take a very curated and flexible approach to executing our re-development projects. HVPG prides itself on its ability to assemble experienced teams and partnerships to achieve optimal project outcomes. An optimal project is one that prioritizes the needs of the residents and the building, in addition to being financially feasible and successful for all parties involved. The Plaza at Andpress (fka Andpress Plaza), located in North Amityville, New York, is a recent example of an HVPG acquisition and tax credit preservation project that was structured as a partnership with multiple stakeholders and optimal results. MDG Design + Construction (General Contractor and Co-developer) and Ken Oppenheimer (Property Manager and Partner in original ownership) are crucial members of the development and ownership team. 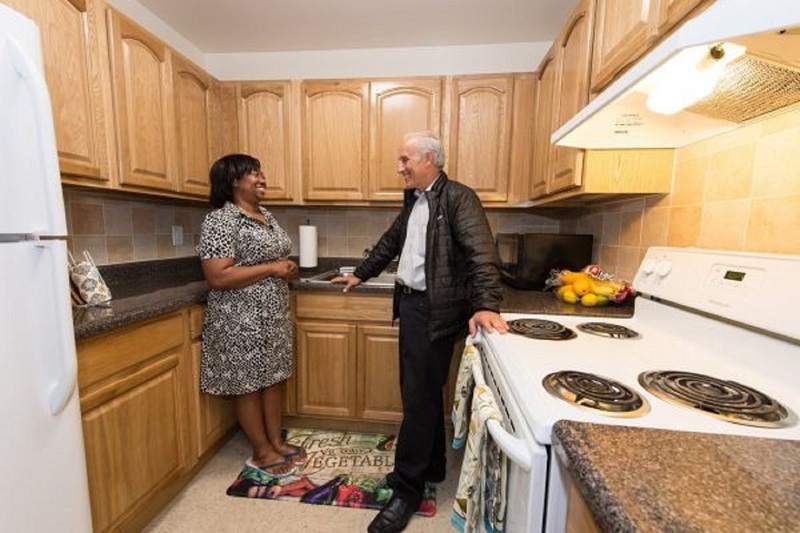 The rehabilitation of the property is near complete, and residents are beginning to see and enjoy the results of their home makeovers. Newsday features the renovated Plaza at Amityville in their August 7th, 2016 article, “LI affordable housing projects get a boost from tax credits”, by Maura McDermott (excerpt below). Long Island’s affordable housing complexes are getting a boost from investors who are increasingly eager to fund construction and renovation projects, thanks to tax credit programs. The additional money kicked in by investors is helping developers take on construction projects that previously would not have made financial sense, builders say. In North Amityville, the 51-unit complex now known as the Plaza at Amityville — formerly Andpress Plaza — is getting new kitchens, bathrooms, roofing, landscaping and a new entrance. The work is nearing completion. The complex was purchased in December by a group that includes MDG Design + Construction, Hudson Valley Property Group and Ken Oppenheimer, whose father helped build the 33-year-old complex. The $11.7 million purchase and renovation was financed by Ohio-based Red Stone Equity Partners.